The University has been recognized as a Bike Friendly University (BFU) Bronze designation by the League of American Bicyclist. 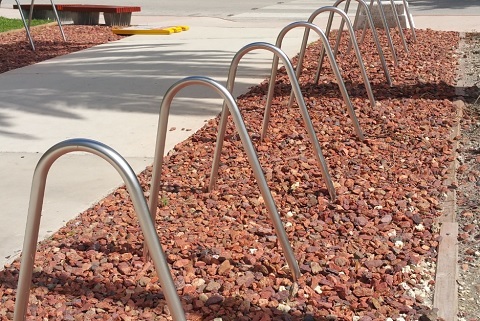 As a Bike Friendly University we are continuously improving the biking environment which include the addition of bike racks on campus, covered bike racks, and wider sidewalks providing for a safe and enjoyable biking experience around campus. With several racks around campus use the campus bike rack map to find the closest parking nearest you.